Since leaving that day, I have run more and farther, including competing in my first half marathon. This race launched what amounts to my racing career and I’m excited to return to do it again. With twelve of my good friends, we will once more move through the paths and behind the scenes to cover the distance, but this time we will be raising money to support Penguins instead of Tigers. Another exciting aspect for me is for my sister and nephew to be running in the family fun run portion of the race. After hearing about the Walt Disney World Half Marathon and seeing what I brought back from Florida, my nephew decided he wanted to try running races. Just shy of his ninth birthday, he will be running the race with my sister along side him. I look forward to watching him cross the finish line. The Bronx Zoo Run For the Wild is a good time and a fun race to do with friends. Although I’m already doing half marathons and tempted to run marathons, I feel good running this race again, the one that started it all for me. 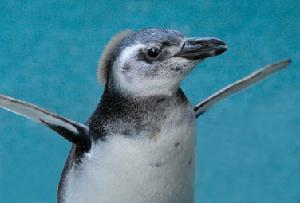 To support me and help raise money for the Penguins, information about donating can be found here.